Mills Painting & Power Washing Inc.
Offering 15 years of friendly service to Calgary and Okotoks as well as all surrounding areas, Longevity Painting is happy to provide all of your painting needs. One on one personal, professional service is what makes Longevity Painting the preferred service for Calgary area home-owners and contractors alike. Free estimates. Call Today to make your free appointment with Calgary's best painting service. 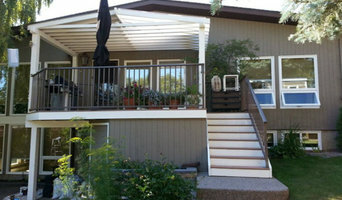 Visit www.paintingincalgary.com or Like us on our Facebook page at Longevity Painting Calgary! Services: -Interior re-painting (including drywall repair) -Exterior re-painting and spraying (including decks, fences, stucco re-painting, wood siding, etc.) -New Construction wood finishing (Spraying i.e. lacquer, stain, etc.) -New Construction full service; wall prime through touch-up (prime walls, finish woodwork (trim, doors, windows, cabinets, railings, built-ins, desks, etc. ), paint walls, touch-ups at job completion.) -Woodwork Re-finishing (i.e. cabinets, furniture, etc.) -Commercial re-painting -Renovation projects -Colour matching and consultation References available, quality work is always a priority. The BEST rates possible. Fully licensed and insured. Flexible to accommodate any job, evenings and weekends are always part of the schedule. The Urban Painter is the painting company Calgarian's turn to when they want good painting from good people. We specialize in interiors, exteriors and specialty finishes for homes and commercial properties. Working directly with homeowners, interior designers, renovators and property managers we strive to manage the details of projects from start to finish to ensure that quality and smiles are always part of the process. For a free consultation, please call or send us an e-mail to schedule an appointment. We are always happy to answer any of your questions about our expertise, services and materials. GBS Painting Inc. has been in business for over 10 years, painting residential interiors and exteriors. We service renovations, basement developments and new custom homes. Getting houses ready for listing and repainting newly purchased houses is a specialty of GBS. We offer lacquers, waterborne lacquers and shading lacquers in addition to ceilings and walls. We don’t leave a job until the client is happy! Call us today. WallNuts is an A+ BBB Accredited painting contractor that services Calgary and surrounding area. I specialize in all types of interior painting and decorating services from basic to high end needs. Final Touch Decorating strives to elevate Calgary’s, residential, commercial and industrial decorating one project at a time. Founded in 2006, Final Touch Decorating is a Calgary-based company servicing southern Alberta and Edmonton. As a third generation painter, Ryan and his qualified team provide services in all facets of interior and exterior painting, wall covering and special coatings. When you ask us to take on your decorating needs, it is not just our team that works for you, it’s also our mission. We offer a professional, neat, clean and respectful work environment to assure your project stays on schedule. The quality of our work speaks for itself. We believe in doing our best work everytime at good prices. A High End Spray and Painting Company Specializing in Fine finish Spraying and wall Applications. Specializing in luxury custom homes and estates, including countless SAM Award winning projects Our 50% is most painters 100%. hvac and handyman providing all services in the home. NO JOB TOO SMALL. 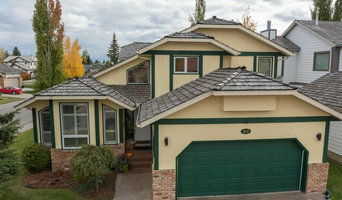 We have been beautifying south Calgary homes and businesses since 1997. Experienced in residential and commercial painting projects for both interior and exterior painting projects, we are a full service painting company that offers complimentary painting quotes on all projects. Our team focus is customer service, because at CertaPro Painters of South Calgary, painting is personal! 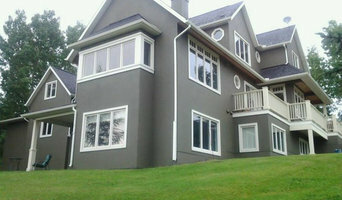 Your professional house painting company for Calgary North and surrounding areas. 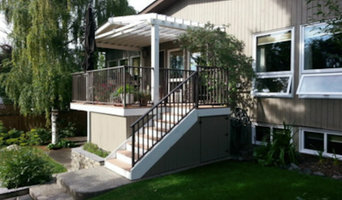 Exterior or interiors, decks or light carpentry. We've been painting homes in your neighborhood for years. 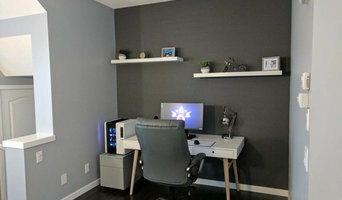 Same Day Painting is a family owned business in Calgary, AB specializing in interior and exterior painting for both residential and commercial properties. Our mission is to exceed our clients expectations in everything we do. From estimate to application, application to completion, we pride ourselves on our customer service and quality, always going above and beyond. You don't pay for painting, you pay for peace of mind. We at Jennifer Carr Painting are fully committed to the highest quality possible and genuine customer service. We want you to be completely satisfied and we want you to tell your friends and family how satisfied you are. We are licensed and have liability insurance. Clients First: All of our clients are important, regardless of job size. Communication is a crucial aspect of our business and clients will receive daily updates. Clients are always treated with respect. Clients Homes First: Your home is always kept clean from the beginning of the project to the end. Drop cloths are used to cover all floor surfaces and plastic is used to cover all other surfaces. We only wear inside shoes or none at all while in your home. Top Quality: We use only the highest quality paint from Benjamin Moore™. All areas are subject to a thorough quality inspection. We always do a walk through all areas with our clients. Any concerns are immediately addressed. At Five Star Painting, we understand the importance of color. Painting the spaces where you live and work is more than just paint, it can transform a room. From a fresh exterior paint job that improves the curb appeal of your home to an interior paint that brings color and feeling to your daily life, paint can make all of the difference. At Five Star Painting, our mission is to capture your dreams and enhance your lifestyle by adding color to your world. We believe we’re a step above the competition and that you can have confidence choosing us. We leave beautifully furnished surfaces behind, we show up on time, we get the job done efficiently, and we stick to the original price we quote-no surprise fees. Our motto is “Five star quality without the five star price.” We believe you deserve the best service at a reasonable price. We offer our clients free price quotes. When we provide pricing for a painting job, we stick to it. Our customers trust us and feed confident that they are hiring the best in business, and so can you. Call us today to schedule your free estimate now!